I joined the Liberal Party as an act of youthful rebellion while attending the University of Calgary, and have stayed active after moving to Edmonton…then Toronto…then Ottawa. In my first eight provincial and federal elections, I never voted for a winning candidate. My track record on leadership campaigns is equally impressive, having supported Allan Rock, John Manley, Sheila Copps, Gerard Kennedy (twice! ), and Dominic LeBlanc. But that’s cool. Win or lose, politics is fun, which is why I enjoy blogging about it. I readily admit I’m partisan – I have a picture of Lester B Pearson and a signed Ken Dryden Rubik’s Cube on my desk to inspire me. At the same time, I don’t think Stephen Harper is a madman hell bent on destroying Canada, and I’ve never been shy about gently criticizing the Liberal Party. After all, since starting this blog in 2004, there’s been plenty to criticize. 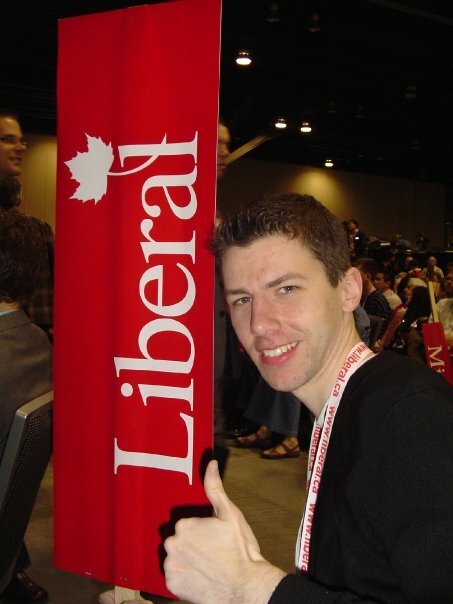 In early 2014, I took a position as Lead Research Strategist for the Liberal Party to oversee Liberal Party polling and research, so the blog is less active these days than it used to be. More on that, and some of my favourite posts, here. On those rare occasions where I do post, keep in mind that my opinions are still my own. In addition to Calgary Grit, my writings can occasionally be found on the National Post’s Full Pundit website. Over the years, I’ve appeared as a commentator on The National, the Agenda with Steve Paiken, the Daily Brief with David Akin, and the Charles Adler Radio Show. In my spare time, I enjoy long walks on the beach, reading about dead Prime Ministers, and conducting regression analysis on election data. My turn-offs include misinterpreting polling data, anonymous Liberal insiders, and Dean Del Mastro.